This page is about Invigilator Jobs in OTS 2019 Online Registration Latest Advertisement. Open Testing Service is looking to hire the services of Universities / Colleges / Schools and Institutions as Test Center to conduct the Admission Test/Recruitment Test/Skill Test across the country. OTS also announced jobs for the students of Universities and Colleges who are looking to have a part-time job to bear the expenses of their studies. OTS requires numerous students for the positions such as (Invigilator, Coordinator, Test Center, Data Entry Operator, Network Supervisor, Physical Instructor, Monitoring Officer, Vigilance Officer, Event Organizer, Chief Examiner, Data Processor, Shorthand Instructor, Assistant Manager Operation, Assistant Manager Coordination, Assistant Manager Project, Assistant Manager Finance, Assistant Manager Training, Assistant Manager Marketing, Web Editor/Content Writer, Printer / Copier Technician for different test centres across Pakistan. Candidates from all over Pakistan can apply for this post and but they have to read the conditions for the post mentioned at the official site of OTS. Generally, these positions are for the Masters / Graduation / Intermediate pass candidates. So, only suitable candidates should apply as per the following how to apply procedure given below. Candidates fulfilling the eligibility criteria should apply via online at the official site of OTS. For to apply every candidate should register themselves at OTS site to have access to Application Form. Download Application Form fill it and submit it to Manager Operation Office No. 03, FF, Plot No. 14 E-11/3, Islamabad. The last date for submission of application is April 30, 2019. Only online applications will be entertained for the further selection procedure. 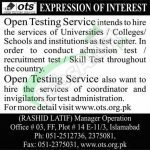 In the above, we discuss Latest OTS Jobs 2019 the testing organization in Pakistan and it requires the services of numerous individuals for its newly established test centers in Pakistan. So, if you have the potential to perform in such type of environment then this job belongs to and you are highly welcome to apply for this post before the closing date. 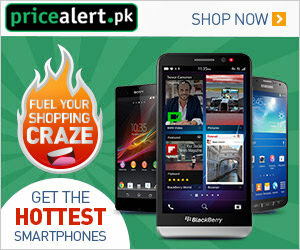 For more jobs please visit our site JobsAlert.pk. Last Date to Apply: April 30, 2019. Address: Manager Operation Office No. 03, FF, Plot No. 14 E-11/3, Islamabad.